Father/ King Namor, mother/ Invisible Woman, Human Torch/Uncle (deceased), Erin/sister, Ari/sister, Johnny/Brother,, Gambit/Remy (big brother). Skills and abilities: Valeria is trained in Atlantean combat methods and fluent in Atlantean and English languages. 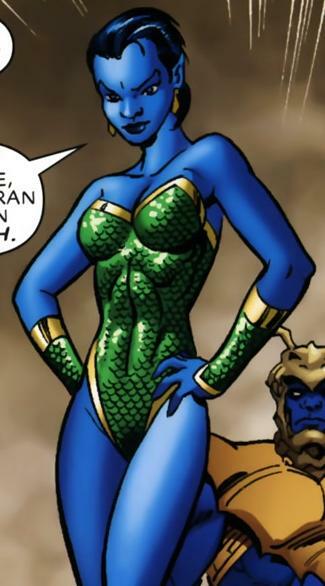 Sub-mariner: Her Altantean heritage grants her multiple underwater super attributes. She can Swim at incredible speeds, immune to cold and pressures of deep sea, able to see clearly in water whether murky or not & her strengths and health are naturally replenished in water. Enhanced Physical Attributes: Valeria’s speed, reflexes, and endurance are greatly enhanced especially when underwater. She cant fly and does not have the longevity of a 1/2 human atlantean. Born the second child of Namor Mckenzie and the invisible woman Susan Storm. She unlike her older brother had the conventional skin coloration of a pure blooded atlantean making her very popular among the undersea residents. She and Remy were close growing up but he had an adventurers spirit and often went where the wind blew him. While he was often out getting into all kinds of trouble she grew into a responsible woman who her father could always count on in matters of urgency. After she had a few more siblings and with the war brewing in her world she was tasked on the battle lines under the sea. While performing her duties her ship was left stranded and she was rescued by her fathers enemy Atuma. As they traveled together they fell in love. It was this incident which led her to rescue the exiles and her family after they were trapped by the black panther. After confessing her love for Atuma to her big brother she was tasked with leading the undersea battle along with Atuma. This new alliance between her father and her love meant everything to her as she would no longer need to chooses between duty and love.